KYADDONDO. 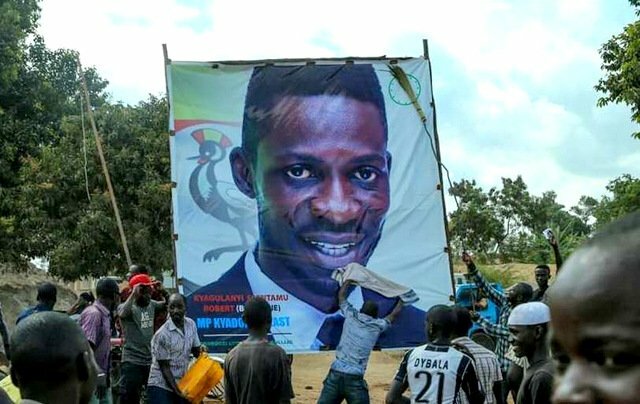 Musician Robert Kyagulanyi aka Bobi Wine yesterday concluded his Kyaddondo East campaign with a call to the youth to be bold enough and champion change in their respective communities. The independent candidate also re-echoed his earlier campaign message in which he promised to run a campaign free of violence. “ We can change our country without a bullet. Because there is power in the people,” the musician-turned politician said amid ululation. 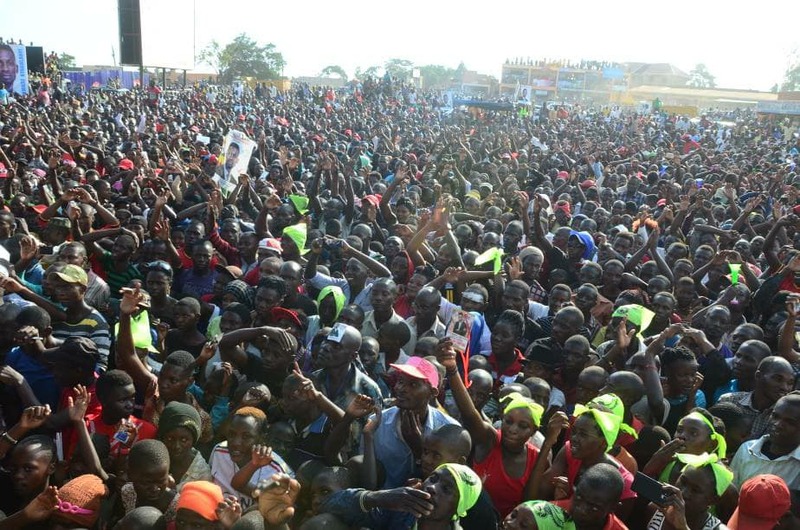 The musician who was addressing thousands of his supporters in Gayaza promised not to be cowed and promised Kyaddondo East constituents effective representation. “I will say the same things here, even in Parliament. The only difference is that I will be using English,” he said. 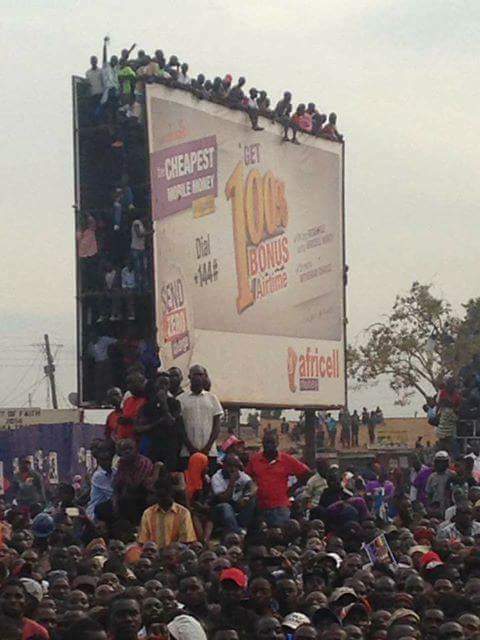 Bobi Wine urged Kyaddondo East residents to turn up in droves and vote for him. “If you are tired of the state of this country, come vote and let us start change from here, Kyaddondo East,” he said. The Musician whose music has been known for its anti-government overtone said no power is stronger than that of a united people. “People power is stronger than the people in power,” he said. He thanked the people of Kyaddondo East for standing with him throughout the campaign period. “What I can promise you is that I don’t have a shaking voice. Your unwavering support is matched with my unwavering faith in you. You have seen me grow up as a ghetto boy, hustling to survive from selling groundnuts on the street to performing music, and you have heard me speak out many times against the injustices that are poisoning our society today,” Bobi Wine said. In his campaign pledge released before the official start of the campaigns, Bobi Wine said that as a young boy growing up, he admired the revolutionary President Museveni, especially his work between 1986 and 1996, but changed his stance when he started seeing wrongs committed by the regime. Bobi Wine who is known for his FDC links did not forget to mention his love for the FDC houncho and other senior politicians in the country. “I have been inspired by the likes of Elias Lukwago, Norbert Mao, Betty Nambooze and Dr Kizza Besigye for their stand on issues like inequality and corruption. I have also been inspired by so many great minds here in Kyadondo East and across the nation who may not be famous, but their ideas can change our Uganda for the better,” he said.